​To place an order, please contact me. We accept the following payment methods: Visa, Mastercard, American Express, Discover, or Paypal. Shipping to the lower 48 states in USA. 85 dyes to choose from! 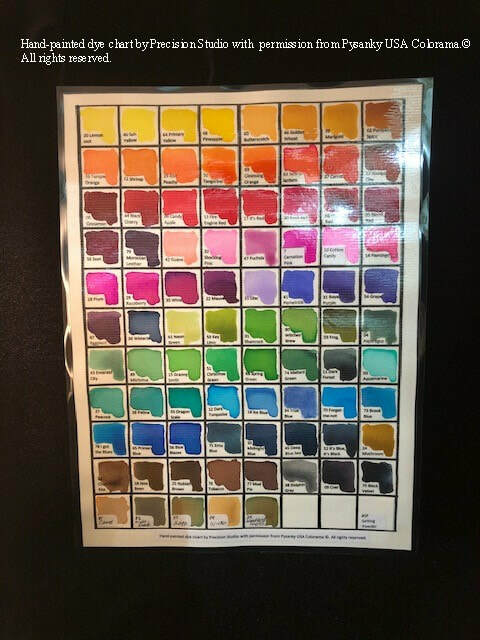 ​Printed dye charts can be tucked into your order upon request. Wax writing tool. Use with heat source. 5"x5" rice-filled, hand-sewn egg rest pillow. Material colors and patterns will vary. 5"x5" rice-filled, hand-made egg cuddle pillow with side bumpers. Material colors and patterns will vary. Holds a chicken to a large duck or small goose.